Save $4.00 off the individual product price! Looking for Nizoral? 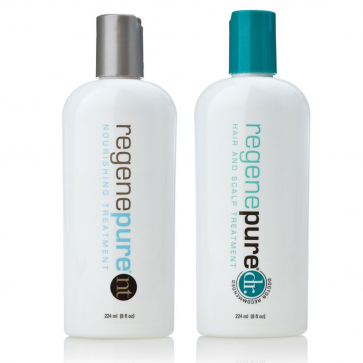 Regenepure DR Shampoo has all the active ingredients of Nizoral and much more. Get the medicated DR to treat your hair loss 3 showers a week, and the daily NT for your "off" days in this discounted bundle pack. 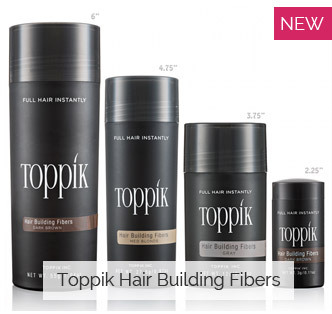 This shampoo provides a daily solution for men & women with thinning hair, during the all-important shower ritual. Includes: One bottle of medicated DR shampoo and one bottle of NT nourishing shampoo (both 8oz). Two-month supply at only $20.50. 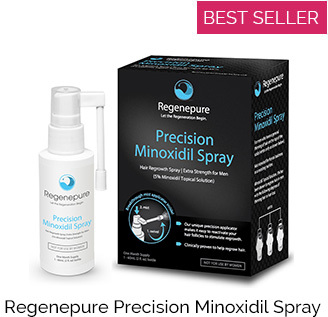 Also get the Regenepure Minoxidil Spray to complement this treatment regimen. Keto-what? It's the active ingredient in Nizoral, and the reason you read all over this site that Nizoral shampoo should be a part of every hair loss treatment regimen. The ketoconazole in it plays an essential anti-inflammatory role that facilitates the success of your other treatments. Without it, you won't have half the success. But while Regenepure contains ketoconazole, they've gone several steps further to include other ingredients known to help people with thinning hair. Your shower ritual is an imperative part of stopping your thinning hair. Until now, very few if any shampoos had any efficacy in treating hair loss, simply because they stay on the scalp for too short of a time. Regenepure DR and Regenepure NT provide a multifaceted approach to treating inflammation while providing you with a very intelligent daily shampoo on the "off" days. The DR shampoo should be used once every couple days for the duration of your hair loss treatment. The Regenepure NT shampoo is a perfect adjunct for the off days, providing not just cleansing but a whole boatload of helpful ingredients tied to the treatment of hair loss. Together they provide a daily solution for your showering regimen. Handling inflammation is one of the biggest factors in treating hair loss. Ketoconazole is the single most effective anti-inflammatory shampoo ingredients on the market, and has also been shown to have anti-androgenic effects when applied topically. If inflammation isnt handled, your hair loss *will* increase, and your treatments will not be able to work as effectively. While Renepure Shampoos contain helpful ingredients, you may also want to rotate in Tricomin and RevivogenMD shampoos, as they both contain additional complementary ingredients for a more well-rounded approach. 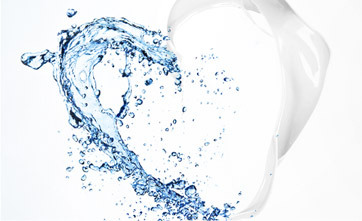 Active Ingredients: Deionized Water, Aloe Vera Gel, Disodium Laureth Sulfosuccinate, Sodium Cocoyl Isethionate, Cocamidopropyl Betaine, Carbomer, Glycerin, PEG-8, Hydrolyzed Wheat Proteins, Ketoconazole, Emu oil, Saw PalmettoExtract, Dimethicone, Allantoin, Vitamin-C, Vitamin-B6, Linolenic Acid, Niacin, dl-Panthenol, Jojoba Seed Oil, Menthol, Spearmint Oil, Hexylene Glycol, PEG-25 Hydrogenated Castor Oil, Lemon Oil, Caffeine, Zinc Oxide, Guanine, Benzophenone-4, Polysorbate-80, Phenoxyethanol, Ethylhexylglycerin, FD&C Blue.